The heavy pads are below. You have tried the light pads and the moderate pads; you are still experiencing leakage using these products. The pad you are using is not absorbing enough and it is leaking through to your underwear and clothing. It is time to try the heavy coverage pads. 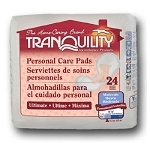 These pads have a more absorbent core and are a little thicker than the moderate or light pads. They are designed to hold more fluid without having to go into a diaper or brief. They are more discreet than a diaper or brief, but not as discreet as the thinner pads. These pads have adhesive strips to keep the pad in place and avoid any slippage. With the pad in the correct place, it helps eliminate any threat of leakage. 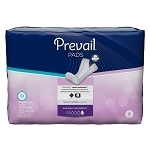 The pads are available in many sizes, shapes and brands. The traditional rectangular shape is very popular. Some people feel better with the familiar. The contour shape pad hugs your body, and the leg gathers help prevent any leakage. The liners are designed with a larger front and back area. They can be inserted into your normal underwear. The pads have a barrier layer that prevents the wetness from flowing onto your underwear and clothing. These pads have a core that will wick the wetness away from the skin. By keeping the skin dry, you are helping your skin health. A skin irritation or rash can be very painful. If your skin is being constantly rubbed by a moist material, the skin will become very sensitive. Some of the pads come with a wetness indicator. You can tell at a glance if the pad needs to be replaced. It can be difficult to tell how full the core of the pad is. If the pad core reaches its max, it will begin to leak. So with an indicator, you will be able to tell when you need to change the pad before there is any chance of leakage from a full pad. Idiaper will deliver these products directly to your front door. No more having to go down to the local store, filling your cart with the incontinence supplies you need, and seeing someone who knows you. 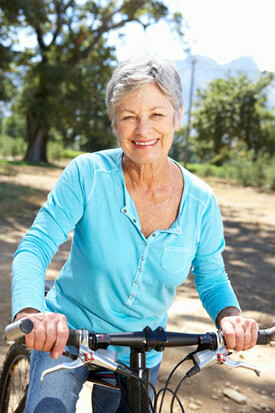 Most people do not like to advertise the fact that they have an incontinence issue. Give idiaper a call or place your order on line. Your product will be delivered to your door within a few days. No one needs to know what is in the box. You share your information with who you want, not the entire neighborhood. It may take a few tries to find the correct product for you. With the many brands, sizes and shapes available, you have a choice. You do not need to settle for a product just because it is all that is available at the local store. You can order the product you want, in the quantities you want, all in the comfort of your own home. And if you have any questions, please email or give the idiaper customer specialist a call. They have years of experience and would be happy to assist you find the right product for your needs and requirements.